We have just selected our new cohort of start-ups for the Edtech Launchpad start-ups programme for 2018. The selection process took place at Jisc Digifest 2018 on the 6 March 2018. 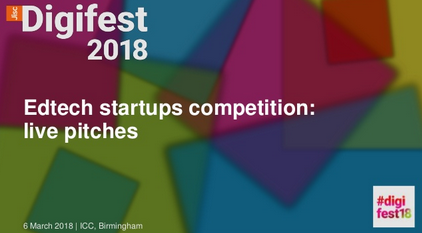 Having already been shortlisted, nine companies presented to an interview panel of experts and pitched to the Digifest audience as part of the process. The quality of companies continues to increase every year and the winners are congratulated to have made it through to the final five. Blackbullion – a learning platform for students to get control of their money. Oslr – an app to facilitate education centred around bedside teaching in hospitals. Synap – an app to create, practice and share multiple choice tests and quizzes. Student Circus – job finding for international students. There is more information see news story startups win thousands to develop edtech innovations. After each pitch, the audience were given the opportunity to score each via a poll, accessible from our event app. Scores were then considered by the selection panel of experts when deciding the five successful startups. The selection panel had a difficult job to choose between the nine companies who each presented a convincing case for them joining the programme. 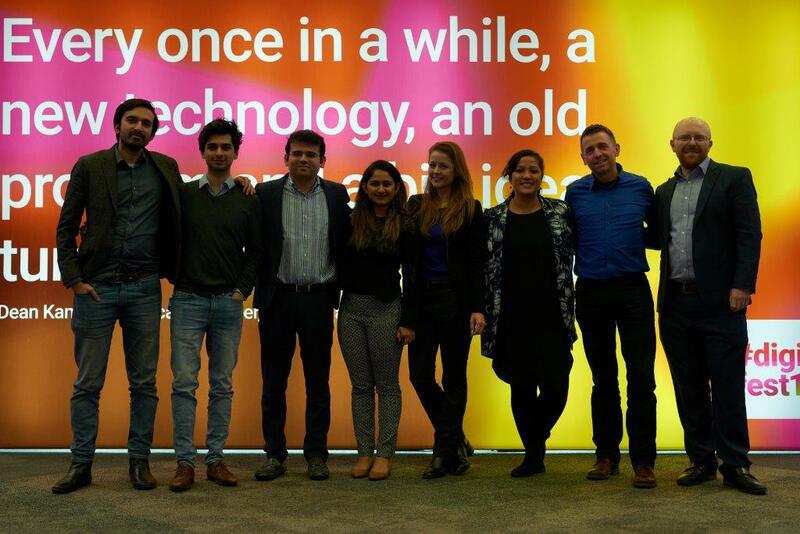 The five winners will now participate in a six month programme starting in May where they will explore and validate their idea product, market, business model and growth plan facilitated by experts and mentors from Jisc and Emerge education. The programme will be led by Nic Newman a partner in Emerge Educator and a successful entrepreneur. Adhoc Academic – connecting universities and colleges with professionals and temporary academic staff. A useful service that we may see grow in the next year. Hoolr – buying and selling second-hand text books and now offering an online tutoring service. Watch this founder as he has more ideas to offer. ThinkSmart – a careers matching service with some interesting tools and services. Stucomm – an already successful student focussed learning app in Europe, which may be set to take over the UK market. Two of the startup companies we interviewed were also previous winners of the Summer of Student Innovation student ideas competition, so I am pleased to see they are continuing to be successful. The 2018 student ideas competition is now open for submissions, closing date 30 April 2018, where we will be looking out for the ideas that could form the start-up companies of the future. Posted by Paul Bailey on 22/03/2018 in Start-up.